For companies on a growth path it’s important to have the right communications technologies to assist in that development. If you are moving the business across multiple sites, growing the number of employees substantially or your customer base exponentially – you need the right system to accommodate this in a cost-efficient manner. Tiecom offers a number of technologies that will enable your growth. The SV9300 is the perfect solution for a medium sized business with multiple sites looking to grow even further. This communications server supports voice, Unified Communications and mobility solutions. It is completely scalable to meet your business’ communications needs now and in the future. 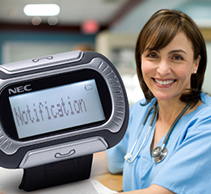 It can support up to 1536 handsets and includes support for mobile or remote workers in a secure environment. Great return on investment: easy transition from existing systems into a full-featured IP communications system. The KIRK Wireless Server 8000 is a reliable and cost effective wireless telephony solution for medium to large businesses. It is fully scalable and flexible with combined analog and SIP VoIP interface. The KIRK Wireless Server 8000 is a modular communications solution, which can be configured completely as per the customer’s requirements. Each KIRK Wireless Server 8000 has room for 1 CPU card, up to 8 interface cards and up to 8 servers can be linked together. It also includes a GUI (Graphical User Interface) management program, which provides capabilities such as e-mail reports and analysing tools. 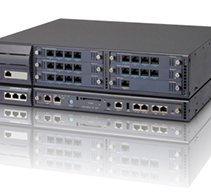 Straightforward installation and modular design offering flexibility and scalability. UNIVERGE IP DECT is the perfect mobility solution, providing wireless telephony over an IP network. The UNIVERGE IP DECT can be easily integrated with your existing business’ IT infrastructure. A single converged network is used to provide both fixed and wireless telephony. This reduces dedicated cabling requirements to the bare minimum. For multi-site companies or campus environments it is a simple matter of installing Business Mobility IP DECT at remote locations, with no need for additional equipment. Great return on investment: system can be integrated with existing handsets and network infrastructure.